It is now clear that AMD will be first to launch 7 nm desktop CPUs, but Intel is not sitting on its hands. Even after all the problems it faced in 2018, Intel is now carefully planning for its upcoming 7 nm CPUs. According to sources from Oregon, the D1X fab will be the first one to manufacture 7 nm CPUs, and the facility is currently going through an expansion that will take at least 1.5 years, so the first 7 nm CPUs from intel could arrive in late 2020. Despite having a rough 2018 due to the 14 nm CPU shortages and the slightly delayed 10 nm CPU production, Intel is moving forward with its plan to catch up with AMD’s 7 nm processors that are expected to hit the market in mid-2019. According to online publication The Oregonian, the first facility to be upgraded with 7 nm production facilities is going to be the D1X factory from Hillsboro, Oregon, and Intel just confirmed that this indeed the case. 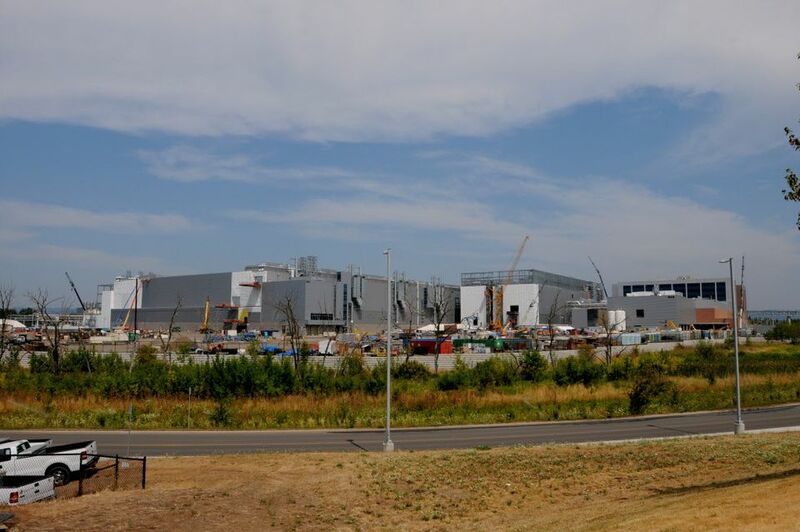 The chip maker stated that it is currently considering the construction of "a massive new semiconductor factory in Hillsboro, which will surely run in the billions of dollars and rank among the largest capital projects in Oregon history." Oregonian sources claim that the construction could take at least 18 months plus a few other months for EUV equipment installation. Currently, the D1X facility spans across a 2.2 million-square-foot area, and the new 7 nm production nodes should add around 1.1 million square feet. The expanded facility will help provide ~60% of the 7 nm CPU supply. As the new 7 nm node will most likely not be ready before mid-2020, the first 7 nm CPUs from Intel are expected to launch in late-2020 at the soonest, putting AMD ahead by around 1.5 years.